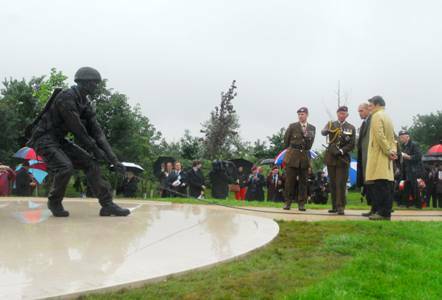 Part III of the Short Historical Record of The Parachute Regiment tabulates all of the known memorials to Airborne Forces. The lists are not thought to be complete and you are invited to inform Regimental Headquarters, The Parachute Regiment of any memorials not shown. 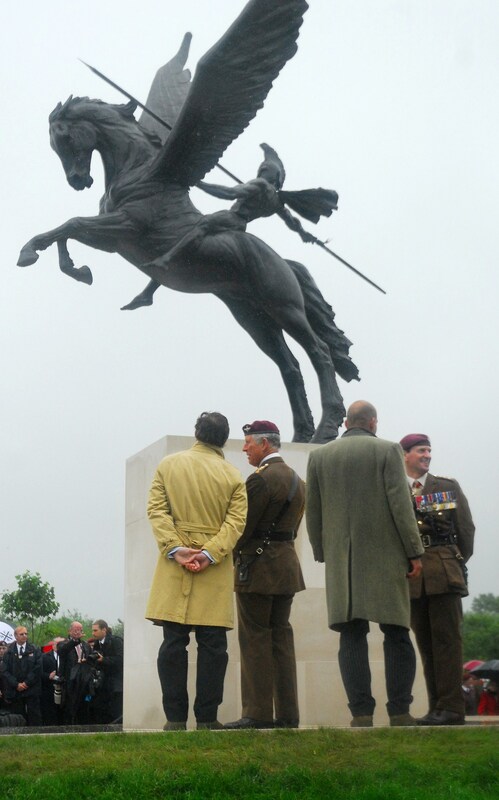 A Memorial to the soldiers of the Parachute Regiment and associated Airborne units, who have fought together since the inception of Airborne Forces in 1940, was dedicated at the National Memorial Arboretum (NMA), Alrewas, Staffordshire on a wet Friday 13th July 2012, with HRH Prince Charles ,the Colonel–in-Chief and an estimated 3,000 others in attendance. On Sunday 2nd June 1967, the Royal Garrison Church of All Saints was dedicated as the spiritual home of The Parachute Regiment. At this time the Second World War Roll of Honour was moved from St Martin-in-the-Fields and placed beside the pulpit. Details of this and two further Rolls of Honour are given in Appendix 1. Also in this Appendix are details of the 49 Memorials to Airborne Forces and the Parachute Regiment which are contained in the Church. Since 1967, kneelers have been placed in the Church to honour the memory of men who have served in Airborne Forces.